3/3/2015 – I apologize for not getting a list of participants added to this page but if you want to keep in touch with each other I have set up a GoodReads Group to help you do that. 1/7/2015 – We have over 100 people signed up for this challenge! This challenge will run from January 1st, 2015 until December 31st, 2015. You can drop the A’s and The’s from the book titles as shown below. For those pesky Q, X AND Z titles the word that starts with the challenge letter can be anywhere in the title. I’m really looking forward to challenging myself with this one! I think I’m going to fill in as I read versus a list and then look for the letters I’m missing. Can’t wait! This looks like a fun challenge and new to me. I’m in! I think I will fill in as I go. Thank you! Finished the 2014 challenge and look forward to doing this again in 2015. Thanks for hosting! Hopefully I’ll do better with challenges in 2015. I’m looking forward to this one! Sounds like fun. Have never tried before. Thanks for a good reading challenge. I’ll be using Goodreads. I just finished the 2014 challenge http://www.djkirkby.co.uk/my-2014-a-z-reading-list/ and definitely want to do this again! Count me in. post your blog link and I will share!! Hello. Just signed up for this challenge. I knew about it at another blog, I hope it’s ok to join in. Thank you! I have never done one of these that didn’t have a linky sign up… how do we find out who else is taking part (cause I want to visit and see what everybody is reading and doing on this). Great idea, thanks for putting it out there. Is the list up now? I couldn’t find it, but thought I might just be missing it. Thanks! okay I signed up a couple of weeks back but now have my list done – where do I post it? I’m going for it again! I got 21 out of 26 in 2014. Let’s see if I can do better in 2015. Thanks for hosting! I will be using goodreads to keep tract as well as a list for me. Signed up! Here is the link to my reading challenge page! http://msnoseinabook.com/2015-reading-challenges/ Looking forward to participating! I’m up to my “F” book right now! Wohoo! (And I’m currently doing the alphabet, well, alphabetically) Where are you all at so far? Finished my 5th book yesterday – so cracking on with this! Here’s my completed list, Lori – and many thanks for hosting the FuN Challenge! Some of the titles don’t really work for thee challenge. First word or first letter. 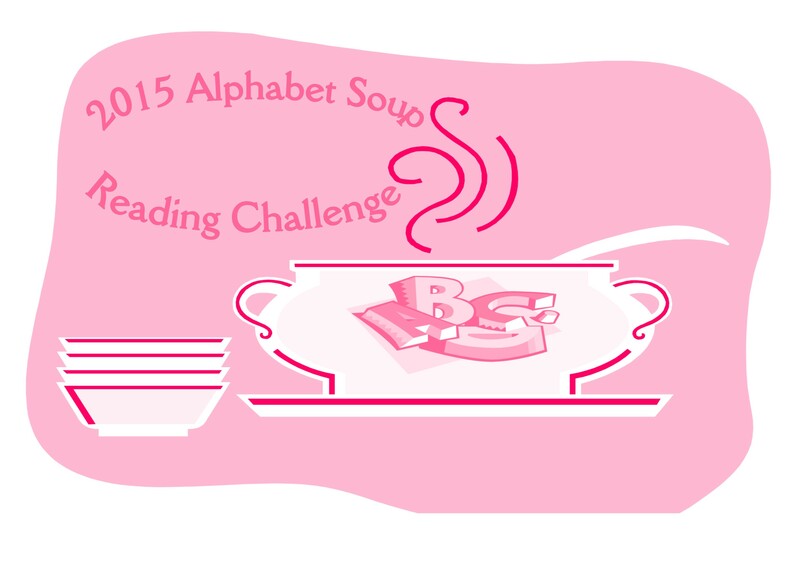 Here’s my completed list for the Alphabet Soup Challenge. Can’t wait to start next year’s! Here’s a copy of my reading list. Hopefully you can see this one. I think I joined your Alphabet challenge earlier this year and actually I completed it a couple months ago but I had marked it, on my Good Reads page as “Cleo Coyle”. I contacted her as to how to send my list to her but she said it wasn’t her. Are you able to check and see if I joined your challenge? Yes you did sign up. Thanks for hosting, enjoyed finding the books. Forget links here are the books! Finished my alphabet. Actually did a bit ago, but forgot to post here then. Thank you for a fun 2015!